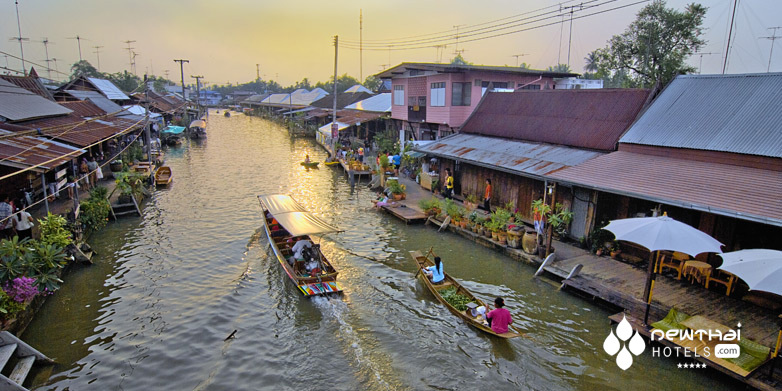 In Amphawa, not only are the fireflies falling prey to the tourist dollar as the motorized boats with their human cargo pollute the air; it is also the passing of an age old tightly knit canal village of Thai traditional way of life. Surrounded by controversy, because of its size and European architectural design, the building of The Chu Chaiburi Sri Amphawa Hotel lit a burning fire of protest in the hearts of the local residents. This 200 year old proud community of farmers and merchants, holds very dear its cultural heritage and value, which is threatened to be destroyed with each new hotel creeping into their historical domain. The Bangkok Post shouted out the angry ramifications of building, what was perceived to be a bourgeois scar, on the traditionally peaceful and laid back town of Amphawa. With a history dating back to the 17th Century as a vital market hub of commerce because of its position on the Mae Klong River, the town has re-emerged in recent years under the umbrella of Unesco recognition. Every weekend tourists descend on this scenic town. It becomes a vibrant tourist hub, abuzz with the incessant noise of the traditional floating canal markets, new funky cafes and handicraft shops have sprung up, all set amidst a Thai cultural wonderland that is fast losing its face against the race with progress and development. The quaint age worn traditional teak timber houses with their tin roofs, sitting on the once vital and hectic canal were to be demolished, displacing the lives of many tenants that knew of no other existence, to make way for one man’s dream. Greedy landlords were all too willing to sell their hungry souls, for the sake of a profit from a very generous property developer. Where once was the sound of the gentle lapping tides in the canal, the din of construction took over. The lofty illusions of Chuchai Chairittilert, once a jewelry shop owner and now a property developer, stated that he was giving back to the community, not taking its’ identity away. Once upon a time the highest building in small communities such as Amphawa was the local temple’s ordination hall, and no other buildings were higher than two stories, the hotel’s domed roof now dominates the skyline. At four stories tall, its’ footprint in this conclave of definitive old Thai culture, where families have lived clanning together for generations, is another chapter of drawing a line between progress and preservation. The hotel has endeavored to embrace a more sympathetic approach to its rich historical birthplace, and as a consequence to the public outcry of preservation, numerous canal homes were rescued from oblivion. One must wonder if the planned plaza area of the second phase of construction of the hotel, referred to as a “Faith Area and Love Monument” similar to that of Ratchaparasong intersection of Bangkok where people will be encouraged to pay their respects to differing deities, is merely a nod to appease the public’s outrage. Read more about the controversy at this blog entry posted on TravelFish. 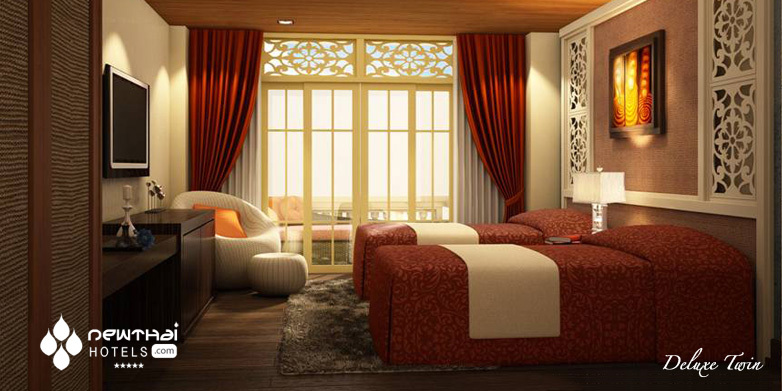 The swanky Chu Chaiburi Sri Amphawa will feature 76 luxury rooms, the Chuchai Executive Suite being the ultimate indulgence with its own exclusive pool and mezzanine level. 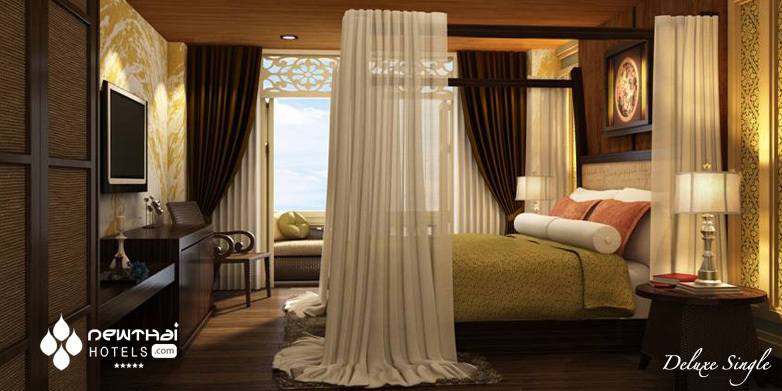 There will be 3 rooms in the Chuchai Suite Category that can be interconnecting, and 8 Celebrity Suites all differing in style and decor and promising to satisfy the most discerning traveler. If you are not in the black or platinum American Express price range, there are 33 Deluxe Twin and 31 Deluxe Single for the well heeled punter wishing to experience this unique area that has spawned a wealth of creativity in its artisans, poets and musicians. 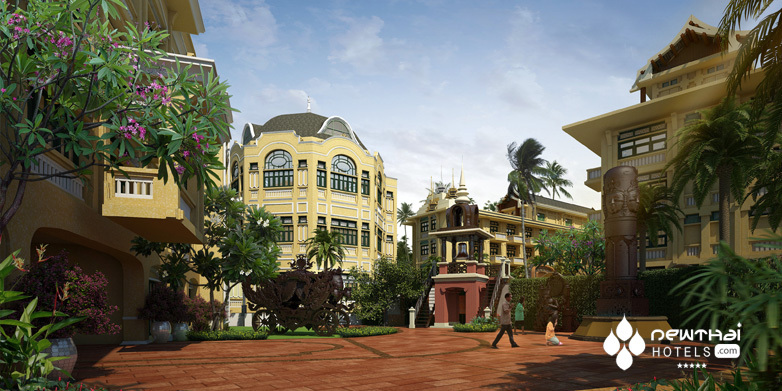 Richly furnished and professing to be the ultimate in indulgence, the hotel will feature ballrooms, conference rooms, restaurants, mediation centers, a fitness and spa, and several multipurpose buildings including an open court of Thai influence for special occasions and activities. A jet-air swimming pool with separate children’s pool, completes this stately space of sophisticated elegance. If meandering past numerous canal or street hawkers stalls in the search of local delicacies does not appeal when looking for a meal, the in-house dining venues offer Thai specialties with all day dining, a wine bar and a pool bar to quench a guest’s thirst. The hotel’s amenities are what one would expect from a property of this caliber such as laundry service, non-smoking rooms, room service, satellite TV and DVD player, twenty-four hour security, high speed internet, fully stocked mini bar, and personal in-room safe deposit box. 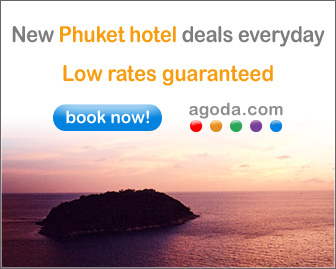 Set amidst over 100 ancient temples, Amphawa is an hour’s drive from the city center of Bangkok and close to the Best Ocean Golf Course Bangkok and the Ekachai Golf and Country Club. Surrounding yourself in the proffered comforts of Chu Chaiburi Sri Amphawa will be a call to any patrons’ sense of empathy. The right of individual property moguls to build with little or no consideration of historically rich areas, or to those that fight for sustainable tourism and the preservation of the world’s cultural, heart and soul that is irreplaceable. 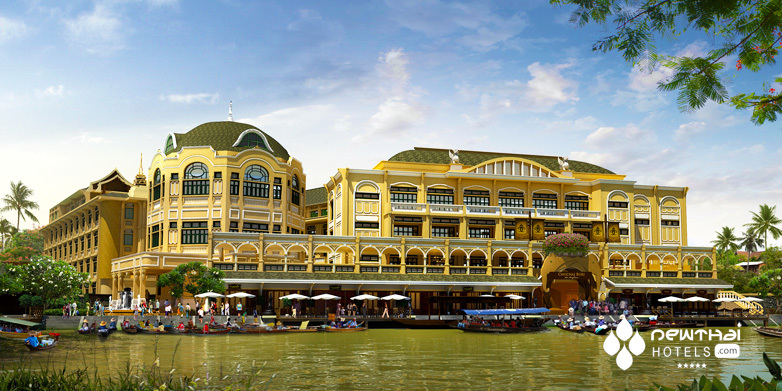 The Chu Chaiburi Sri Amphawa Hotel is scheduled to open in Bangkok in late 2014. This entry was posted on Thursday, June 19th, 2014 at 12:41 pm and is filed under News. You can follow any responses to this entry through the RSS 2.0 feed. You can leave a response, or trackback from your own site.